Don’t want to lug that 10’ Longboard all the way from Ohio? Just make sure you get here and we’ll take care of the rest. 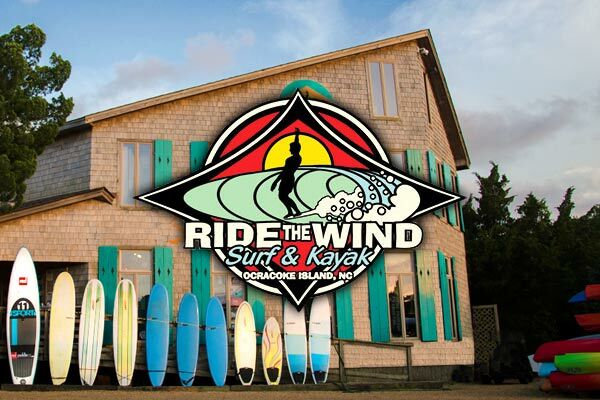 Ride the Wind offers a full range of Kayaks, Surfboards, Body Boards, and Skimboards to rent hourly, daily, or weekly. We rotate our rental stock every season to insure you get the most current and best maintained models. Be sure to reserve a kayak or book a kayak tour for your next vacation to Ocracoke Island.